Nationality: American. Born: Tyrone Edmund Power in Cincinnati, Ohio, 5 May 1913; son of the actor Tyrone Power Sr. Education: Attended Sisters of Mercy Academy and St. Xavier Academy, both in Cincinnati; Preparatory School of the University of Dayton, 1928–29; Purcell High School, 1929–31. Family: Married 1) the actress Annabella, 1939 (divorced 1948); 2) the actress Linda Christian, 1949 (divorced 1955), daughters: the actresses: Romina and Taryn; 3) Deborah Ann Minardos, 1958, son: Tyrone Jr. Career: 1931—short season in minor roles with Shakespearean repertory company in Chicago; then worked at Santa Barbara Community Theatre for two years, at the Circuit Theatre in Chicago, and in summer stock in West Falmouth, Massachusetts; 1932—film debut in Tom Brown of Culver ; 1936—contract with 20th Century-Fox; 1942–46—served in the U.S. Marine Corps as pilot: discharged as First Lieutenant; 1953—toured with Charles Laughton's group in John Brown's Body ; later toured the United Kingdom in the stage play The Devil's Disciple . Died: 15 November 1958. Cameron, Ian, Adventure in the Cinema , London, 1973. Thomas, Tony, Cads and Cavaliers , New York, 1973. Arce, Hector, The Secret Life of Tyrone Power , New York, 1979. Guiles, Fred, Tyrone Power: The Last Idol , New York, 1979. Belafonte, Dennis, and Alvin Marill, The Films of Tyrone Power , Secaucus, New Jersey, 1981. Connor, Edward, "The Genealogy of Zorro," in Films in Review (New York), August-September 1957. Obituary in New York Times , 16 November 1958. Roman, R., "Tyrone Power," in Films in Review (New York), January 1959, also see letters in March 1959 issue. Aronson, Steven M.L., "Tyrone Power: The Razor's Edge Star at His Brentwood Mansion," in Architectural Digest (Los Angeles), April 1994. Descended from a long line of actors, and the namesake of a distinguished stage father, Tyrone Power learned his craft on Broadway. Blessed with sweet-faced good looks and an insouciant manner, he was signed by Twentieth Century-Fox as an answer to MGM's Robert Taylor. Along with his close friend and frequent co-star Don Ameche, he became the mainstay of Darryl Zanuck's star roster. Most often cast as the romantic lead in period pictures such as Lloyds of London , Marie Antoinette , Suez , and In Old Chicago , Power also proved adept at light comedy, especially in the much underrated farce Love Is News . Frequently directed by Henry King or Henry Hathaway, and usually appearing opposite Loretta Young or Alice Faye, he became one of Hollywood's reigning heartthrobs. forever. 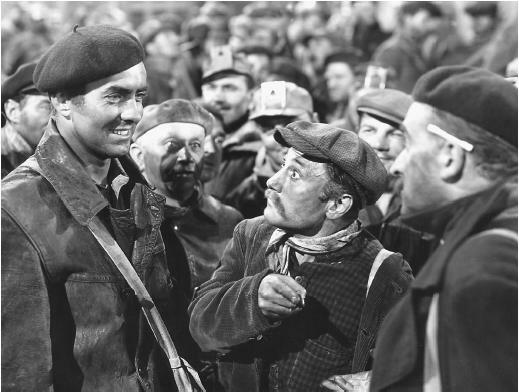 Even though he succeeded in highly dramatic roles such as The Razor's Edge and Nightmare Alley , Zanuck insisted on bringing back the Tyrone Power audiences loved before the war. He appeared in a number of comedies, including a remake of Love Is News entitled That Wonderful Urge , and a series of lavish costume epics: Captain from Castile , The Black Rose , King of the Khyber Rifles , and Rawhide . Unlike many stars, he continued to get good parts as he grew older. Tyrone Power died an untimely death at the age of 45 while filming King Vidor's Solomon and Sheba in Madrid.